Inside a black container, Leonel Castañeda confronted the spectator with the horrifying Armero tragedy through his collages. The project was on display in the garden of the El Dorado gallery. 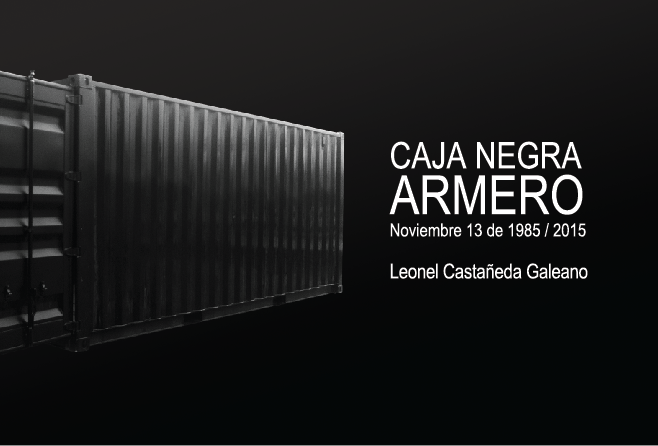 The exhibition BLACK BOX – Armero – November 13th, 1985 / 2015 – is a piece by Castañeda that commemorated the 30-year anniversary of the Armero tragedy, which took place on November 13th, 2015. Using the unpublished records of photographer Justo Pastor Velásquez Peña, which were taken on the night of the catastrophe in 1985, the artist produced a series of collages / landscapes, which creates an atmosphere and sense of reality that surpass the photographs as a document. Through these images, he conveys new meanings, reverts the messages, restores what was hidden, and the things which, in spite of our efforts to remember, we forget. To read the article on Arcadia, click here.